Francesco De Lorenzo is a colon cancer survivor, medical doctor and professor of biochemistry – University Federico II Naples. He has a rich experience in cancer advocacy being the co-founder, former Vice-President and Board member of ECPC. 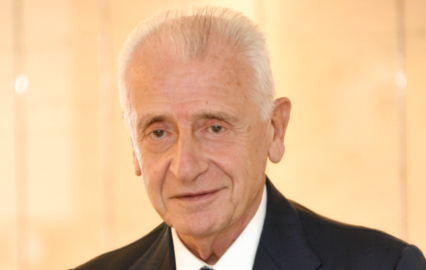 He is also the founder and President of the Italian Association of Cancer Patients (AIMaC), Italy’s first Cancer Information Service (CIS), and of the Italian Federation of Cancer Patients Organisations (FAVO). Francesco is also active in Italy’s governmental network of cancer Institutes (ACC), Italy’s National Cancer Plan Committee and National Volunteer Observatory of the Italian Welfare Ministry. Francesco is a member of the European Commission Expert Group on Cancer Control, a member of the European Society for Medical Oncology (ESMO) Cancer Patient Working Group, a founding member of the Elite Oncology Roundtable, and is the ECPC representative within the European Commission’s Joint Action on Cancer Control (CanCon). Francesco was also engaged in Italian politics as a Member of Parliament, holding several ministerial mandates (Ministry of Health, 1989-1993).